Do you love to ride horses? Do you often compete in horse jumping competitions? If this is the case, you might want to buy a jump just like the ones that are used in horse shows. This will allow you to practice and prepare for the event. You need to make sure that your horse is used to being around the jumps so it knows how to react to them. There are many places you can buy these items. However, you need to be sure that the jumps you buy are very high quality. Here are a few tips you can use when you are looking for horse show jumps. 1. Talk to other horse jumpers to find out the type of jumps that they have bought in the past. It would be in your best interests to get the advice of people who know more about horse jumps than you do. These people will be able to give you solid advice. You can learn from the mistakes they have made. What company made the jumps they bought? Why did they choose that particular brand? Has the jump been very durable? Have they ever had any problems with it? How much did it cost? The info that you are able to gather will be very helpful to you. 2. 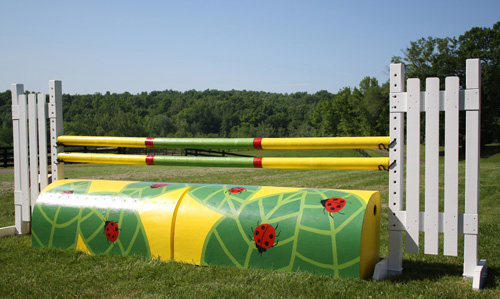 Test out the jumps with your horse before you decide which one you will buy. You should actually have your horse try the jumps to see which ones it responds to the best. You should never make that assumption without testing it. You need to understand that some jumps are going to last for a longer time because they are made of more durable materials. You will also find out that it is easier to adjust the height of some jumps than others. 3. What will the total cost of the horse jump be? You need to be sure that you do not pay more than you need to for your horse jump. This is why it would be advisable to compare the prices of horse jumps made by all of the major brands. This entry was posted in Product, sports and tagged horse jump, horse show, horse show jumps on April 9, 2019 by Yami.